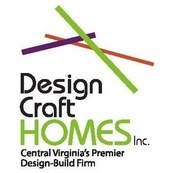 Design Craft Homes is your one-stop shop for your custom dream home. Since 1991, we have been designing and building homes for our clients and the way they live. Founded by A. David Karfgin Jr., the company has grown and evolved over the past three decades to meet the ever-changing needs of our homeowners. of our homeowners and how they live, in a seamless and easy process. From a napkin sketch to your dream home... it's that easy!